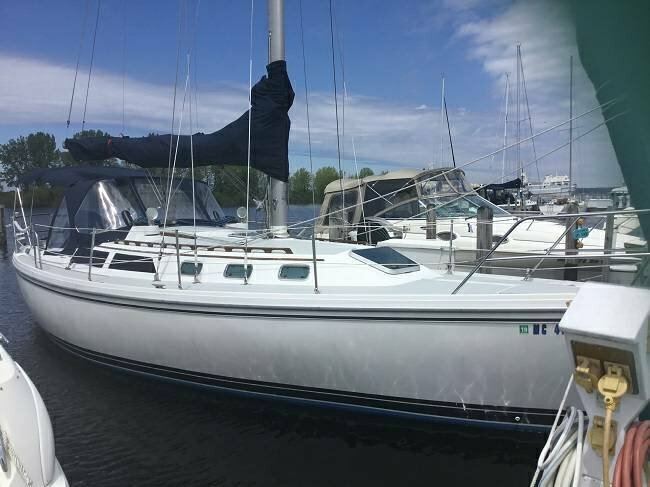 This a GREAT family cruising yacht, ready for a new family to build wonderful memories. We have new family commitments, so its time to find a new home for our Summer love. 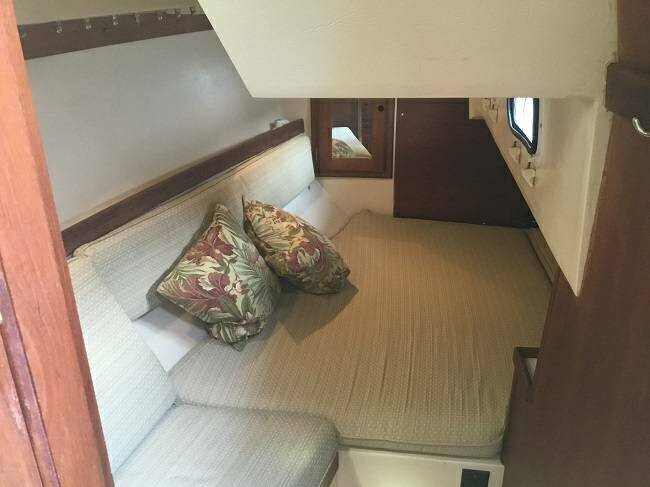 This is a very well maintained FRESH WATER cruiser with sugar scoop transom, spacious cockpit, open salon, large head and two staterooms that offer the comfort and roominess not found in other boats with the same LOA. 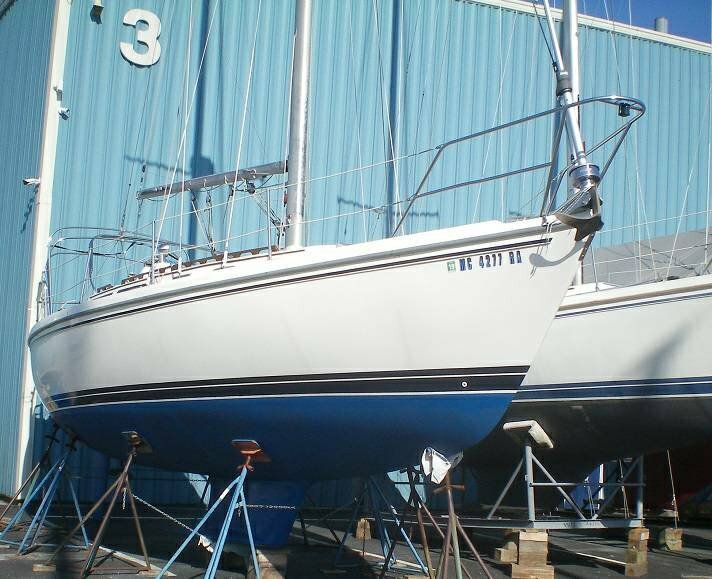 Fresh bottom paint 2018, new ULLMAN Genoa, and mainsail 2017. 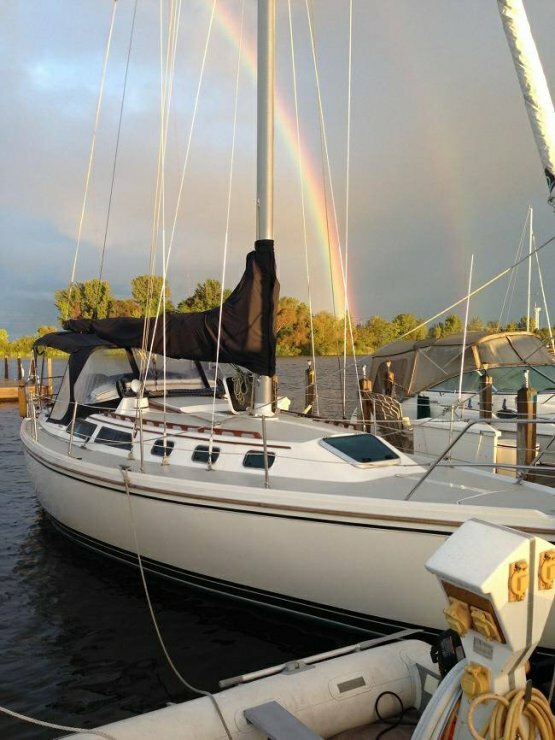 ACCOMDATION and LAYOUT: Sleeps 7 with (2) staterooms, plus the dinette sleeps 2, and 1 settee berths. 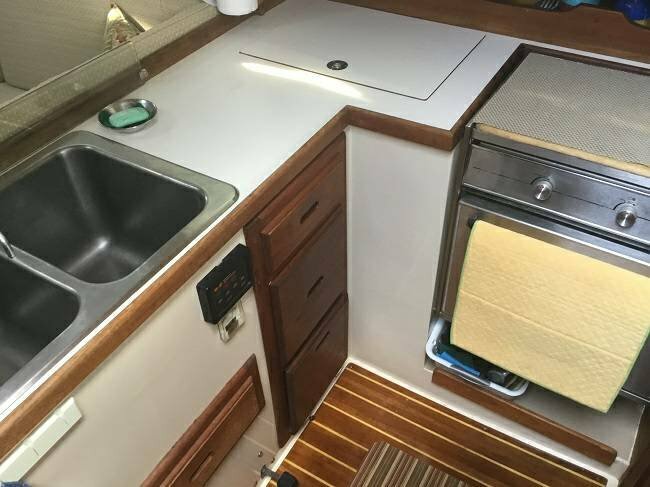 Forward cabin has V-berth with drawer storage and hanging closet. 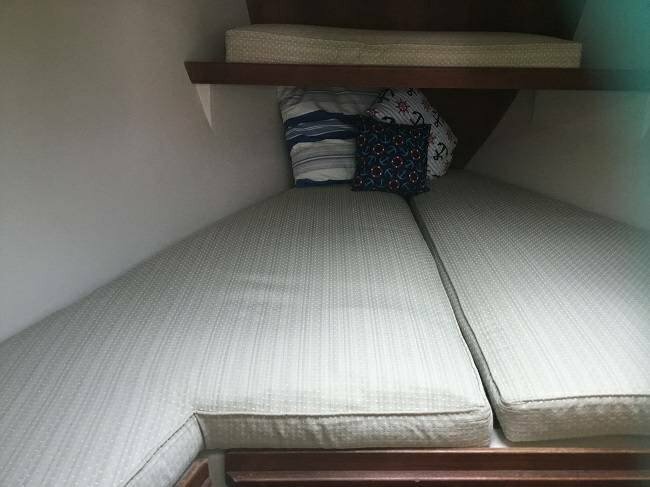 The aft cabin is a double berth with hanging closet and shelving. 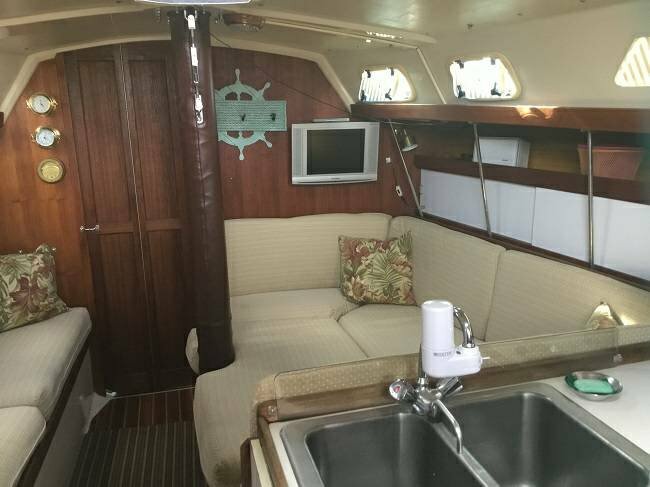 The enclosed head with sit down shower is to port next to the companionway. 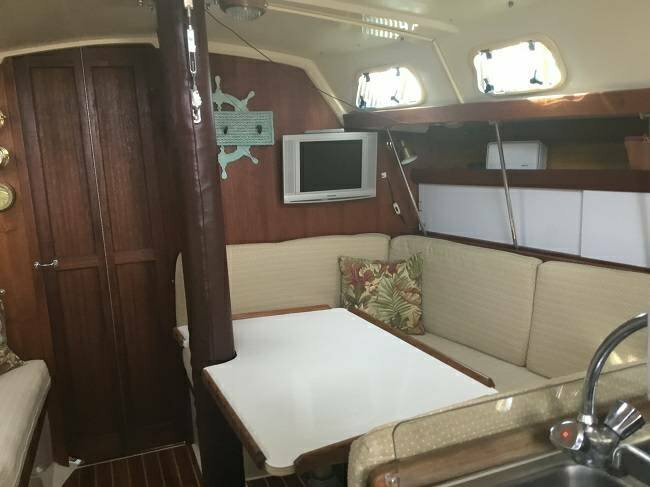 L Shaped galley is to starboard with deep double sink, and SEA WARD double burner propane stove with oven. Complete hot and cold water system. 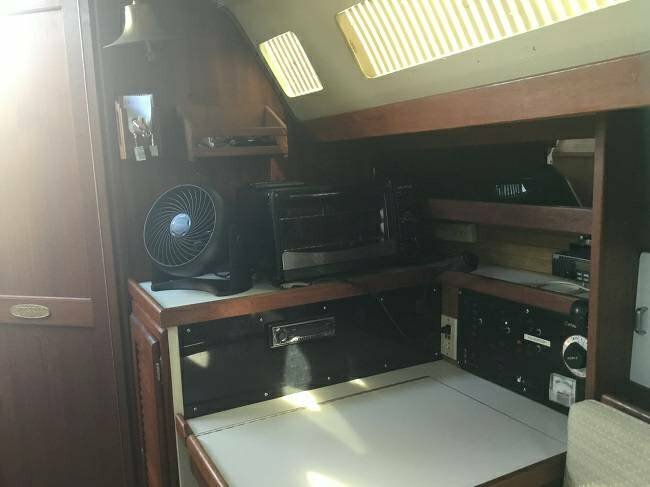 ELECTRONICS: AUTOHELM 4000 auto pilot, ICOM 56 VHF radio, DATA MARINE speed and distance log, DATAMARINE depth sounder, RAYTHEON chart plotter, RITCHIE SP-5 pedestal compass, CLARION Am/Fm CD stereo. ELECTRICAL: 12 Volt (DC), 110 Volt (AC), (2) batteries with automatic battery charger. 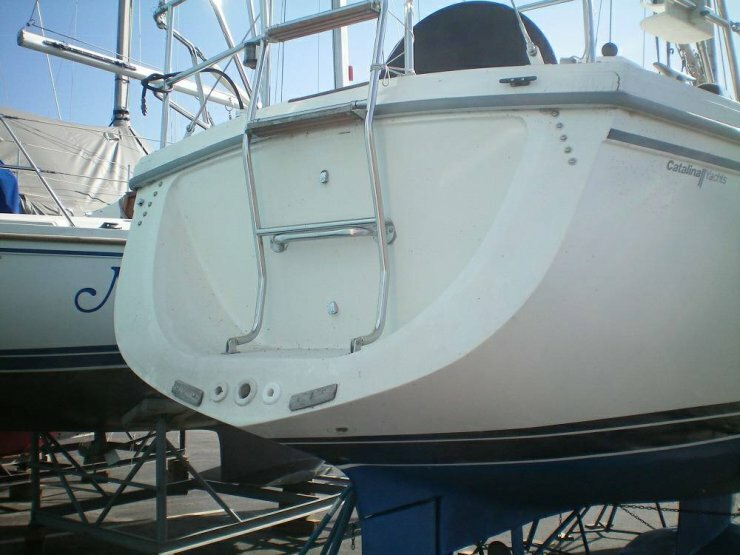 DECK and HULL: BRUCE anchor, large bow anchor locker, (2) stem head anchor rollers, chrome Dorade vents, fore deck mast light, swim ladder, double life lines with gates, T shaped cockpit, cockpit cushions, Dodger and Bimini cockpit enclosure. SAILS and RIGGING: Equipped for cruising. Aluminum keel mounted mast. 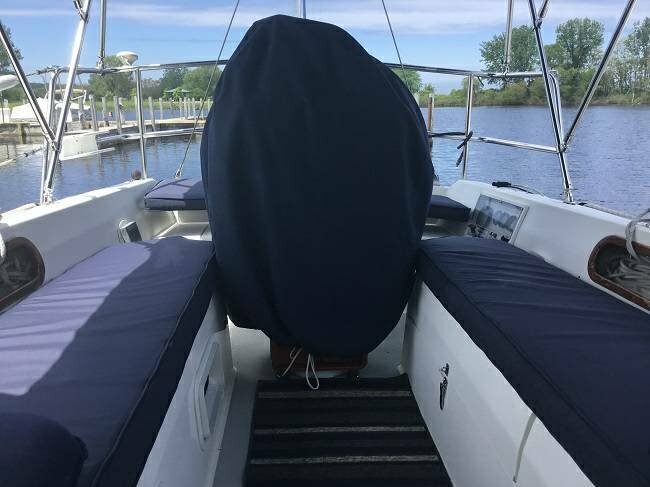 (1) Regular, and (3) self-tailing LEWMAR winches, HOOD Genoa roller furling, mainsail with DUTCHMAN flaking system, Full sail cover for main sail. All sail brand new in 2017. All lines lead aft for single handed operation. 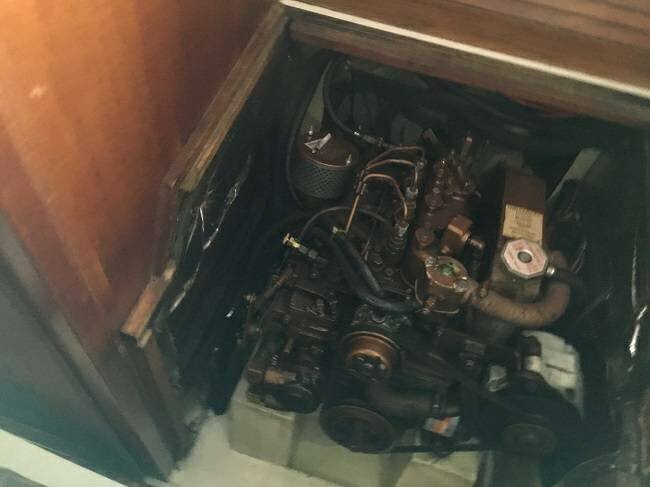 MECHANICAL EQUIPMENT: Cockpit controls; Bilge blower, automatic and manual bilge pumps, Engine details; 23 HP UNIVERSAL M-25 XP fresh water cooling system, fuel filters, raw water sea strainer, full engine instrument gauges, EDSON pedestal steering with controls, three blade propeller, manual head with 18 gallon holding tank.